Tenant Claims against Landlord Public Liability insurance Rockets…. 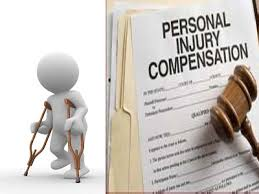 In recent years insurance companies working on behalf of landlords have noticed a steady increase in claims for injury. These claims include incidents such as slips, trips or falls by tenants, that have happened on landlords property. In many cases the landlords have been found to be responsible and although unavoidable, such incidents can prove very costly to landlords, especially if they do not hold public Liability Insurance. Many claims are also related to guests of the tenant, so visitors to the property are also able to put in a claim should an accident occur. It has also been noted that many of these claims are put forward by young people, as they tend to be more aware of their rights in such cases. This results in the claims being fairly high, due to the length of time they would continue to live with the problem that has been caused by the accident, and in many instances can escalate into several millions. Many landlords are not aware of how important Public Liability Insurance is when letting their properties. Home owners would normally have public liability insurance as part of their household contents cover, however for landlords it is necessary to check that their insurance cover includes this, as under normal circumstances the tenant would take out contents insurance. Public Liability Insurance would cover any damages which might be awarded to the claimant, but also the legal costs of defending the claim and the claimant’s legal costs if the landlord is found to be at fault. There is currently a case being handled by Total Landlord Insurance where a visitor to the property, not the tenant, fell from a set of stairs and claimed that the stairs were not ‘fit for purpose’. The case is on-going but as the claimant is of a young age the costs are likely to be for several millions if successful. It is not always best to save money by cutting corners, but unfortunately a lot of landlords are in this position. I find myself stressing the need to have such cover on many occasions when advising landlords and it worries me how few landlords believe they need it. ← Becoming a New Landlord?